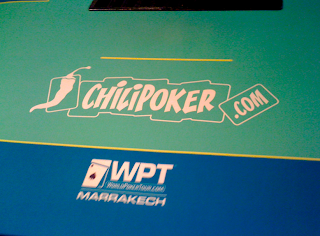 Managed to secure nearly five hours of sleep prior to yesterday’s Day 2 of the Main Event of the World Poker Tour Marrakesh presented by Chilipoker. More than twice what I’d had each of the previous two nights, and so it felt positively luxurious to roll out of bed around 11 a.m. Sure, I missed breakfast -- and, most crucially, coffee -- in order to get the extra winks. But it was necessary. 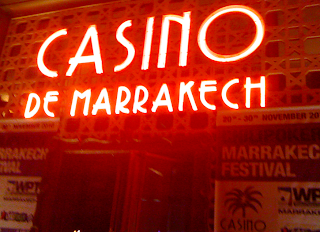 Had to get over to the Casino de Marrakech an hour earlier yesterday, and so shortly after noon Mickey, Elissa, and I set out on foot to our destination, the wind whipping alarmingly hard as we went. Got there in good shape, though, and soon we were settled in for another day of reporting. As the field shrunk, Mickey increasingly took on field reporter duties, keeping track of bustouts, seat changes, and chip counts (all of which Mickey does so well) while Elissa and I mostly stuck to blogging. That meant getting to sit a little more than the previous two days, when all three of us were on our feet constantly. I was glad for the change, especially given all the walking I had done yesterday morning prior to the long day at the tourney. Matthew Parvis of PokerNews -- stopping through on his travels to and from the many other events happening these days -- spent some of the day with us yesterday, and so it was good to touch base with him. I also got to meet Tatjana Pasalic, a.k.a. “Tattytats,” who seemed friendly and funny. (You might remember Tatjana from her interview of Kevmath a couple of months back.) And Jesse May (author of the great poker novel, Shut Up and Deal) stopped by as well, and I enjoyed talking with him once again about his travels, his podcast, and poker writing, generally speaking. They ended up only playing ten one-hour levels yesterday (we’d originally heard it would be 12), which meant we were able to get back to the hotel around 2 a.m. rather than 4-4:30 a.m. as had been the case previously. Began with 82 players and just nine made it to today’s final day of play. Wasn’t an overly remarkable day, poker-wise, but a few stories have emerged over the course of the tourney. None of the “name” pros made it to the final 27 and the cash. A couple of local players did. Roger Hairabedian -- known as “Big Roger” (because he is quite large) -- finished 23rd. And Majid Chiboub finished 20th, a boisterous, good-natured fellow whom absolutely everyone at the casino knew (just as “Majid”). A famous French rap star played in the event, a fellow named Bruno Lopes who goes by “Kool Shen.” He fronts the group NTM, which if you look it up online you’ll discover stands for something not too nice about your mother. Lopes is about my age, actually. His age, coupled with the fact that he appeared very steady and unemotional throughout the tourney, made it seem funny to imagine him onstage delivering an aggressive rap as I am imagining from the group’s name he must do. Will have to check out some NTM, I think, after I return. Lopes finished 15th. The other interesting story yesterday concerned a young German player named Dominik Nitsche whom reporters have gotten to know quickly from some of the other tours outside the States. Guy is only like 19 or 20 I believe. Yesterday Nitsche was down under 5,000 chips with about 60 players left. Then he doubled up three times, but even then still had something less than a third an average stack. He doubled up a couple more times, though, then won a few more big pots, and by the early evening was the chip leader. He’ll be second in chips to start today’s final table. I remember one big hand in there during his run -- right before dinner break, I think -- in which Nitsche knocked out yet another player, this time with pocket queens against his opponent’s A-Q. I was writing up the hand afterwards and realized I wasn’t quite sure how much his opponent had had to start the hand, so I asked him. He grinned and said at first “I don’t even know!” before coming up with a close estimate. It was kind of fun to see him excited like that about how things had been going for him over the previous couple of hours. Really the mood in the poker room has been upbeat all week, with everyone -- players, staff, media -- seeming to enjoy themselves. I remember a similarly fun vibe at EPT Kyiv last summer. Sometimes the mood at WSOP events will also be light, but more often than not things are much more serious and tense, perhaps because of all the added stress and pressure (for everyone) surrounding the Series. Today’s final table will be happening in a different location in the casino, so I’m not quite sure what the arrangement will be. I’m confident, though, that all will be well for those of us reporting on it, as we’ve been taken care of pretty well throughout. Between Matt Savage (who is the TD here for this one), the Chilipoker folks, and the Casino de Marrakech people, the whole event has been very well managed, in my opinion. Spaceman commented yesterday about the big cash games going on in Marrakech, and indeed I have seen those running every day thus far, with David Benyamine always there in his seat at the end of the main table. It isn’t really feasible to go up and watch, and so I can’t offer further details of what is happening there. But I can confirm the games are ongoing, and there’s a lot of murmuring here and there regarding the high stakes and the fact that the games keep going around the clock. Think I’ll go ahead and pack now and get ready to head back over. As I mentioned yesterday, we might be cutting things close as far as our flight out of here goes, as we are due to depart before dawn tomorrow. Hopefully the tourney finishes up at least a few hours before then, so we can make it okay. Also, we’re hearing there’s snow in Paris (where we have a connection), so who knows what sort of twists and turns await us as we try to make our way back homeward. Head over to PokerNews today to see how this sucker plays out. And come back here to see how the trip home is going. Not sure if I’ll even be able to post tomorrow, given the schedule, but if I can get onlinle I’ll at least be on Twitter @hardboiledpoker with updates. 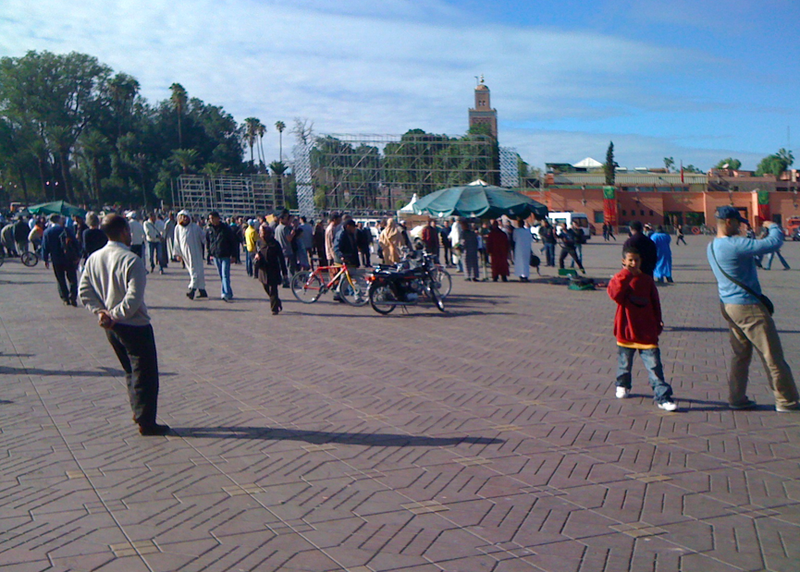 Another busy one yesterday here in Marrakech. 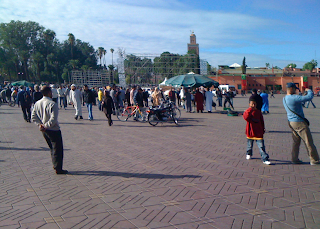 I did manage to get to see the city some on Sunday morning before the tourney -- the main event of World Poker Tour Marrakech presented by Chilipoker -- got going again in the early afternoon. Was kind of tough find a time in here to squeeze in the sightseeing. Essentially I had to choose against sleep to do so, getting only about three hours. But I managed to drag myself out of bed, further inspired by Vanda, a Portuguese blogger, who has been here for a week now and said she’d go with me and be a tour guide of sorts. The walk to the city center was probably a mile or so, during which time we were offered rides in taxis probably 20 times or more by drivers yelling out of windows and men walking. There was a fellow who engaged us soon after we left the hotel, then we saw him again a half-hour later on a bike once we got to the marketplace. “Remember me?” he asked, and again seemed to want to offer us either a taxi ride or some other unspecified service. We were accosted a couple of other times, too, by beggars -- in one case a barefoot child, pointing to his feet as he spoke. City streets gradually became surrounded by more and more greenery as we walked, with lots of olive trees about. As we approached the walled-in “souks” (the marketplace), we passed a large building of worship from which announcements come at each of the five times per day Muslims pray to Mecca, next to which was an area reserved for such. Finally we made it inside the walls and to the huge city center where hundreds were already gathered early on a Sunday morning. We again were constantly approached, this time by women offering Vanda henna tattoos, others offering us both postcards and pictures, and more. There were a couple of gaily-dressed groups playing music, with some of their number either carrying snakes or dancing around them on the ground. We walked through the large open area to the many stalls and shops arranged maze-like in the center. Literally hundreds of shops there, most of which weren’t quite open yet, although a few had and we did get to shop some. I ended up buying a few items for people back home, in each case having to do a lot of negotiating with regard to price. Vanda had prepared me to expect this, and I think I did okay with my first purchase. “250,” said the young man, a kind of “seller’s agent” for the shop. “200?” I said. “Okay, 230,” he said. “200,” I repeated. “Okay, 200,” he conceded, making me wonder if I should have started lower. 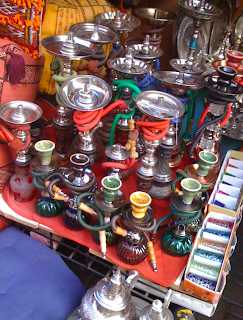 As she would demonstrate at another stop, Vanda is quite good at the bargaining, and said some of the sellers had jokingly called her a “berbere” which I think refers to a desert dweller who is especially good at negotiating. I think these skills are kind of similar to some that are needed in poker, actually, although I’m too tired right now to pursue the analogy further than just to mention it. Terms having been reached, the young man took me to an older man who recorded the sale in a ledger and took my dirhams while the young man wrapped up my items individually. For extra grins, the young man also dressed up Vanda in a silk scarf, making her appear like a Muslim woman. We had something similar happen after another purchase, when the seller took several minutes showing us a “magic box” with a hidden key, perhaps hoping we’d buy it, too, but seemingly satisfied just to put on a little performance for us. Eventually we left and made the long walk back. Vanda explained that later in the day there would be lots of food for sale, too, at relatively inexpensive prices. “You’d eat like a king!” she said. Probably added up to a three or four mile walk by the time we returned to the hotel, and a short while later we were all back at the Casino de Marrakech for more poker. After drawing 137 players on Saturday, there were just 85 who came out for the second Day 1. In fact, the start was delayed probably 40 minutes or so yesterday, I think in an effort to get more players registered. (Also making our day a little longer.) The overall total of 222 is down a lot from the 2009 WPT Marrakesh, which drew 416. Various factors are likely to have affected the turnout, including the close proximity of EPT Barcelona and other events happening around the world here in late November. I think it is probably safe to say that having the tournament on Thanksgiving weekend made it a less inviting option to American players. In fact, I think there might have been only one or two in the entire field. There were a few big names here yesterday, but pretty much all failed to survive the day. Ludovic Lacay, who final tabled this event last year, was one of the first eliminations yesterday. Carlos Mortensen went out relatively early, too. Liz Lieu, the most high-profile of tourney-sponsoring Chilipoker’s pros, busted, too. David Benyamine showed up right at the end of Level 4 (just before registration closed) looking especially tired. Word was he’d been playing essentially nonstop in the lucrative cash games since his arrival, and he definitely appeared fatigued. He’d end up losing most of his stack in a big hand in which he held A-K, and was knocked out shortly thereafter after playing an hour or so. Bertrand “ElkY” Grospellier was there as well, and as often happens in events in which he plays, he was probably the most fascinating figure in the room. He characteristically gambled it up early on, which didn’t go well for him. It was a tough table, with Thomas Bichon and Davidi Katai (both also quite aggressive) and a few others giving ElkY a hard time and playing back a lot. Stuck on the short stack, Grospellier then turtled up and seemed to fold for a couple of hours straight. Was kind of weird, actually, as he had gotten down to less than ten big blinds, yet would continue to fold in spots where it seemed like he’d have to shove. For instance, I reported one hand in which Bichon raised, then Kitai reraised, and it folded to ElkY in the blinds. Kitai three-bet a lot yesterday, often quite light, so it was odd to watch when Grospellier folded his hand, and when he threw his cards to the dealer they flipped over to reveal he was folding . I actually saw him fold A-Q face up one other time during that sequence when he appeared short enough to jam any ace or pair. Worked out for him, in a way, though, as he did find some spots to keep doubling and in fact looked like he was on his way to building an average stack near the end of the night. But then he lost almost all of it in a hand versus Kitai in which the latter made quads, and ElkY, too, would hit the rail before we were done for the night. As I mentioned, there will be 82 players left when we come back today, and once again we’re bracing for another long one. 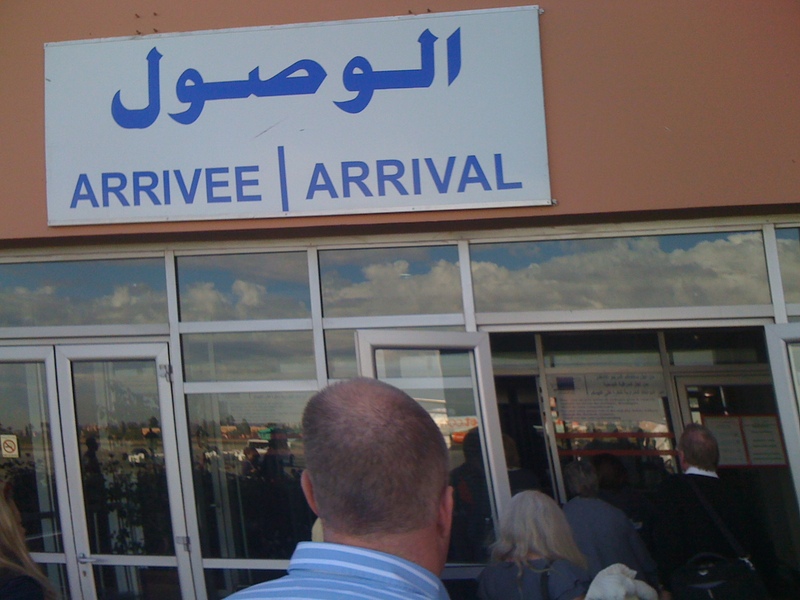 We are starting to worry a little about our itenerary, actually, as we are scheduled to fly out of Marrakech very early on Wednesday morning, like 5:30 a.m. or something. That means if we have a long final table, and another day that lasts until 4 a.m. (or longer), we surely won’t be able to come back to the hotel, and might not even make our flight. We’ll see how it all plays out, both in the tourney and for our journey back home. Check in over at PokerNews for reports on the former, and I’ll be back here this week to let you know about the latter. So said Matt Savage, Executive Tournament Director of the World Poker Tour, to a group of media around three o’clock Sunday morning, holding up a sheet of white paper as he did. “So you know who won already?” cracked some wiseacre in response. It might have been me. Yes, we were still having fun, despite having at that point been at the Casino de Marrakech for 14 hours or so covering Day 1a of the WPT Marrakech event presented by Chilipoker. Was a long, long day, and perhaps seemed even longer given the still somewhat-fatigued state of your humble world traveler. Things went well overall, though, and we managed to chronicle quite a bit as the 137 players who began the day gradually whittled themselves down to just 51. I should go back to the night before -- Friday -- and mention the enjoyable dinner we had. Mickey, Elissa, and I joined fellow bloggers Vanda, Ivan, some representatives of Chilipoker, and Matt and Maryann Savage for a fun, lengthy meal at a nearby restaurant. I had couscous (natch), topped with a variety of tasty meats, with a fairly decadent toffee dessert and coffee to follow. We stuck around afterwards while a sequence of energetic bellydancers made their way through the room, moving with agility between the tables, a couple of whom especially impressed us by balancing elaborate arrangements of lit candles atop their heads while they danced. 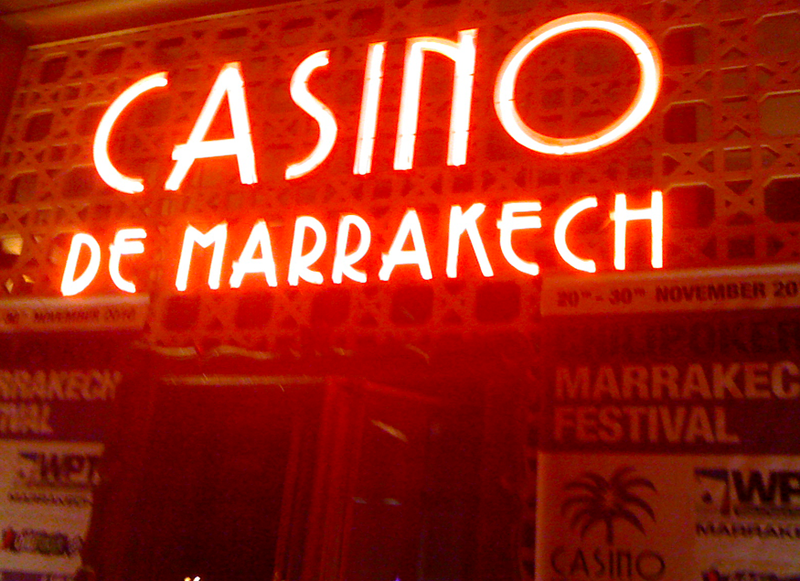 There was a pre-tourney party afterwards at the club adjacent to the Casino de Marrakech, but by then I was going on something like 40 hours with only a brief, one-hour nap, and had to head back to the room for some shut-eye. Slept reasonably well -- aside from having to field a wrong number at 4:30 a.m. -- and was rested and ready to go by the time we headed back over to the casino for the start of Day 1a. The casino is quite large, and the poker room big also, containing somewhere in the neighborhood of 40-45 tables. The tourney was set up on one side, with only 15 tables being used. The media room had been set up on the opposite side -- in fact, inside a tent-like structure attached outside of the poker room proper. While I believe PokerNews might be the only English media here, there is nevertheless quite a large contingent of reporters on hand, perhaps 30-35 reporters in all. 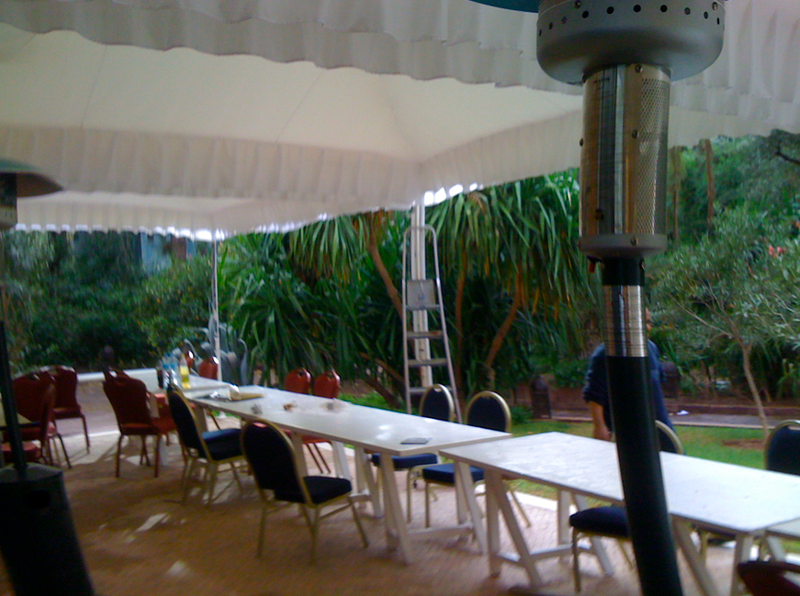 That made things very tight inside the tent, with all of us jammed close together around the few tables. The tourney began a short while after the scheduled 2 p.m. start time, and while we experienced a little trouble with maintaining internet connectivity, things seemed to be going well enough at the start. That’s when the rain and wind outside began to pick up, and soon the tent began to shake and rattle. Another huge gust whooshed through and suddenly it appeared as though the whole arrangement was about to crash down on top of us. As far as the event itself goes, we encountered a field consisting of a lot of French and Moroccan players, as well as a few from other European countries. At one point later in the day Matt Savage and I chatted about the fact that neither of us had spotted a single American in the field. Unsurprisingly, then, there were not too many familiar faces to us among the 137 who began, with only Antoine Saout, Nicolas Levi, Alexandre Gomes, and a few others being recognizable to us as we began. Eventually we came to learn the names of a few dozen more, aided at times by our colleagues from other outlets, or in some cases by the players themselves. As the tourney organizers’ quick response to the media tent situation demonstrated, we were taken care of quite well yesterday. There was finger food (pastries, bite-sized sandwhiches, bread) and drink supplied at every break, and a nice buffet for dinner, all available both to the players and the media. Helped us make it through the day, for sure. Didn’t get back to the room until something like 4 a.m., then I ended up waking early this morning to go walk down to the city center and explore a bit. Will try to share details of that trip tomorrow. Meanwhile, we’re close to getting started with Day 1b. We’re expecting a few more big names to show today, too, including Carlos Mortensen, David Benyamine, Ludovic Lacay, among others. Check over at PokerNews for details. The skies were blue in northwestern Africa today. Saw a few clouds passing as though pushed by the light wind, but otherwise clear and calm. And perhaps a little fuzzy-looking, given the sleep-deprived state of your humble reporter. The flights were all fine, though in the end the trip took a few hours longer than had been scheduled. The penultimate leg from JFK to Casablanca was the longest of the journey, taking close to eight hours. Had to smile a little when the stewardess came around with choices for my Thanksgiving dinner. “Fish or beef,” she said. I chose the one that sounded closer to turkey. Am not complaining, though. While I didn’t get to enjoy the customary ritual of overstuffing myself to which we Americans are used to on the holiday, the in-flight meal -- a small salad with cucumber and tomato, a cold corn-and-shrimp dish with feta, beef tips, small potatoes, broccoli spears, carrot sticks, a hunk of cheddar, and some cheesecake topped off with hot tea -- was more than enough to satisfy. Unfortunately for me, though, the meal did not succeed in putting me to sleep the way Thanksgiving dinners generally do, and so while my fellow travelers dozed I listened to tunes, resigning myself to continued consciousness. I almost never sleep well on planes, anyhow, and so can’t say I expected anything different. 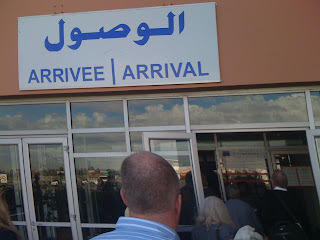 It was still dark out when we finally touched down in Casablanca, although dawn was close. Elissa (a.k.a., ebhizzle) joined me in New York, and we were guided along with the rest of the passengers from the plane, across the tarmac, and inside the airport. From there we were pretty much on our own, as once we made our way down the initial hallway all signs of airport personnel vanished. The signs were in Arabic and French, and having enough of the latter to have a little bit of a clue, I was able to help us choose correctly at the first uncertain crossroad. Eventually we found someone to give us a verbal directive, and an uncertain half-dozen turns we came upon a lobby-like room that sort of resembled a terminal. There we found a television screen indicating our final flight, and parked it expecting a short wait before continuing on to Marrakech. Alas, we’d end up watching the sun rise and day get well underway, our flight delayed more than two hours. There was no explanation, but others indicated such is the norm. 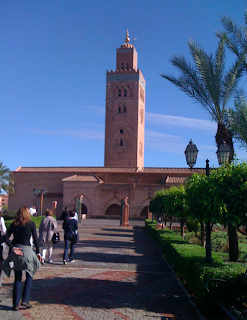 By the time we made it to Marrakech, picked up Elissa’s checked bag (against her well-formed expectations that it would not make the trip with us), and got some local currency into our pockets, it was nearing lunchtime. Took a taxi to the hotel, our aggressive driver dangerously sharing the road with numerous pedestrians, mopeds, horse-drawn carriages, and even a few camels (which caught me off-guard, camera-wise, or you woulda seen ’em here, too). Checked in without too much fuss, noting some poker people about (players and media). Then also noting we were both going on 24 hours or so of journeying, it was agreed that naps were in order. The third member of our reporting team, the venerable Mickey (1-2-3! ), made it a couple of hours after we did, and the plan will be for us all to rest up some more before heading out for dinner and perhaps a bit of exploring tonight. Not much to report thus far, then. Hearing French, seeing Euros being passed, and a few other quirks of public transportation together evoke early comparisons with other European locales, but we’ll see how far that line of thinking goes as the next few days progress. More to come. Airport terminals and planes will be serving as my office today. And tomorrow as well, I guess. That’s because for the next 20 hours or so I’ll be winding my way to Marrakech, Morocco where I’ll be helping cover the WPT Marrakech tournament scheduled for Saturday through Tuesday. Made it through airport security this morning with surprisingly little fanfare. No body scan. No touching of the junk. No request to remove my prosthetic limb. (Just kidding.) I also managed to keep my pants on the entire time, something I occasionally have had trouble with when traveling before. Came to the airport much earlier than necessary, in fact, and so I have a couple of hours of sitting around before my first flight takes off. There are a number of folks milling about, though not too many. A few families. A basketball team heading to a holiday tourney. Much fewer, though, than were traveling yesterday, I would imagine. Most folks have already arrived at their Thanksgiving-day destinations, presently readying for a long day of feasting and football. I suppose I have done enough of this traveling thing (and tourney-reporting thing) by now for the novelty to have worn off a little. Not as much as some of my reporter buddies, of course, the full-timers who do this stuff year-round. But enough to have developed a set of expectations -- for the wide-eyed innocence to have worn off just a bit. Even so, I’ll admit to feeling a little of that familiar mix of anxiety and excitement, particularly given the fact that I’m heading to a new country. (Heck, a new continent!) And really, every poker tournament necessarily is going to offer something unique or unexpected. Part of the reason why people keep playing ’em, I suppose. A brand new starting stack. Possibility. Promise. Something to play for. Am certainly thankful for the opportunity to take another of these trips. And hopeful I’ll be able to share a little of the experience here over the next few days. Am thankful, as well, for your stopping by Hard-Boiled Poker. Enjoy the day. 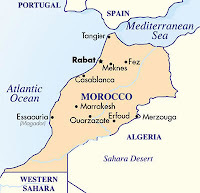 Talk to you next from the Kingdom of Morocco. Am a little distracted today, I must admit. That’s because about this time tomorrow I’ll be at the airport, having likely just endured an uncomfortably intimate security check, about to board the first of three different flights, the last of which will not be landing until sometime Friday morning. Where am I heading? Marrakech, Morocco. Gonna be helping cover the WPT event there for PokerNews. 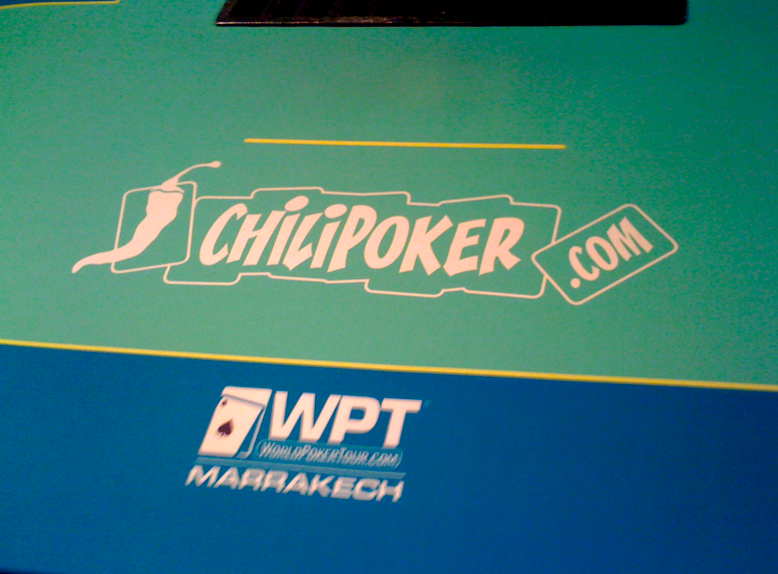 This’ll be the second year for WPT Marrakech, an event that is also sponsored by Chilipoker (a non-U.S.-facing site). The main event sports a €4,250+€750 buy-in, a price that also includes accommodations and meals for the players. Last year there were 416 entered in the event. I’m hearing there will be a number of big names making the trip (mostly from Europe) this time around, too. And Matt Savage, the WPT’s Executive Tour Director, will be on hand as well to oversee the sucker. Obviously not ideal to be traveling on Thanksgiving, although Vera and I had already postponed the family stuff to December, and so the trip didn’t really conflict with anything major. 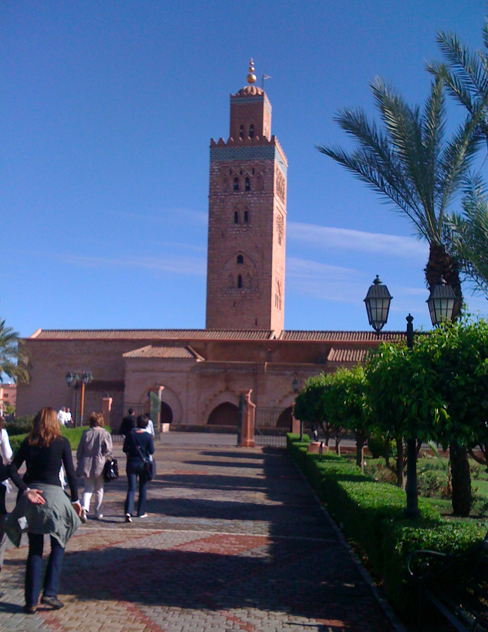 Of Marrakech -- a.k.a. the “Red City” -- I know very little. Arabic is the official language, although I imagine I’ll hear some French, too -- the one foreign language I have a shot at understanding. 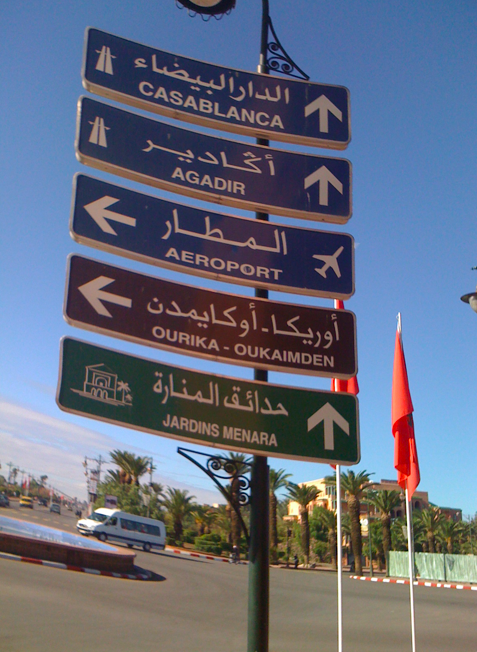 Casablanca is nearby, of course. (Recognize that still pictured above?) 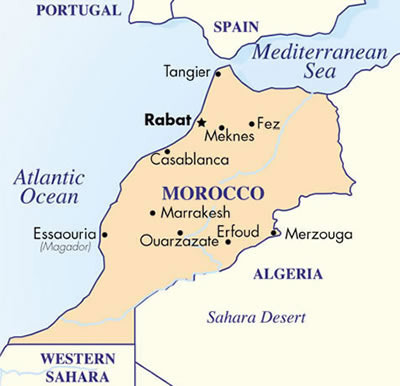 And there’s that happy little Crosby, Stills & Nash song, “Marrakesh Express,” that describes a train trip from Casablanca. You know that song... “All abo-o-o-o-oard, the tra-a-a-a-in.” Kind of sounds like a train chugging along, actually. With a whimsical, high-pitched melody flying along over the top that sounds like some sort of exotic stringed instrument, though I read somewhere is actually an organ. I think some of the lyrics might refer to a big marketplace for which the city is famous, though to be honest I’m not really sure. 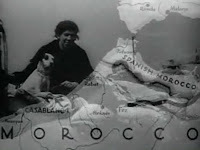 In any case, I expect to learn a lot more about Marrakech and Morocco over the next week. Am hoping to send along a few trip reports here as it goes, but as always that will depend on how connected I turn out to be. Meanwhile, I will probably post something from an airport tomorrow. Provided, of course, I make it through security without being too traumatized. A couple of weeks ago news broke regarding the upcoming season of “Poker After Dark,” due to get crankin’ in the new year. 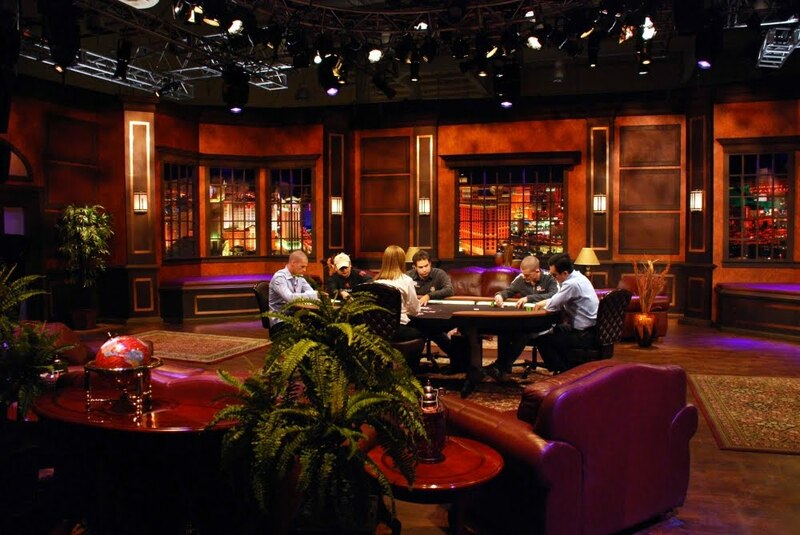 Word is that perhaps in order to infuse a little something new into the now long-running, late-night poker show (on the air nearly four years now! ), two weeks’ worth of six-handed pot-limit Omaha will be featured. The six players recruited for the PLO shows were Brandon Adams, Patrik Antonius, Phil Ivey, Tom Dwan, Brian Hastings, and Phil Galfond. The taping took place earlier this month, and if Hastings has it right on his blog, they played $300/$600 blinds (perhaps with an ante), with a minimum buy-in of $100K. Not sure if there were any instances of players “running it twice,” although it seems like it wouldn’t be out of place for them to have done so. As someone who plays PLO probably 90% of the time I sit down at the virtual tables, I’m obviously excited to see how these PAD shows go. Like just about every other non-hold’em game, PLO has only rarely been shown on television since the big “boom” in 2003. So for us Omahalics, this’ll be a treat. The news got me thinking back, trying to recall other instances of PLO being shown on the tube. 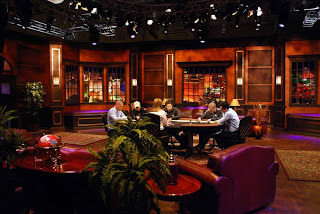 In 2004, ESPN included the $2,000 PLO event as part of its WSOP coverage, an episode I remember seeing more than once. Chau Giang won that one, outlasting PLO-specialist Robert Williamson III heads up to take the bracelet. That was the year, of course, when ESPN went wild with the WSOP coverage, for the first time showing numerous preliminary events. Heck, even the Razz event got covered that year -- the only time, I believe, that game has ever been shown on TV outside of a H.O.R.S.E. event. ESPN actually covered PLO events a few more times over the next three years, although to be honest I have only a fuzzy memory of seeing these other shows. Another PLO event was shown in 2004, in fact, the $5,000 buy-in event won by Ted Lawson (who defeated Lee Watkinson heads up). Then in 2005 two more PLO events were covered, the $2,000 w/rebuys won by Josh Arieh, and the $5,000 w/rebuys won by Phil Ivey. In 2006, only the $10,000 buy-in “World Championship” event was aired, with Lee Watkinson breaking through to win there. And if I’m not mistaken, 2007 was the last year ESPN covered PLO, showing the $5,000 w/rebuys event won by Burt Boutin. Regarding that last instance, I actually wrote something here a good while back about ESPN’s coverage of that one, a post titled “A Non-Hold’em TV Sighting.” From the looks of that post, I appeared to have enjoyed the show, although I do say that Norman Chad’s analyses might’ve been a little misleading at times. I’m not aware of PLO turning up on “High Stakes Poker” or any of the other TV shows, although I wouldn’t be surprised if it has come up elsewhere here and there and I missed it. Still -- as ESPN’s decision to go hold’em-only since 2008 tends to show -- I think it’s safe to say that no matter how well these two weeks of PLO on “PAD” go, PLO will remain something of an exotic novelty when it comes to poker on TV going forward. Been marveling some over the last couple of months at how much the logos worn by professional poker players seem to pique the interest of many observers. As this year’s WSOP Main Event final table demonstrated, the whole “patching” thing has clearly evolved into a highly intricate set of maneuvers, perhaps not quite as complicated as the game itself, though similarly informed by intricate strategies developed from partial information. 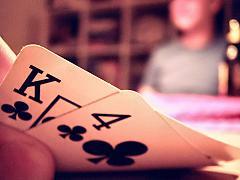 Like poker, the advertising game involves a lot of “calculated guessing,” one might say. The patches also provide another set of symbols to consider when taking in the “story” of a particular tournament, occasionally adding further richness to the already interesting narrative being related. Each player primarily represents him or herself, but may also be associated with others via the display of similar patches. Thus does the main “plot” concerning the tourney’s outcome occasionally get fleshed out further with these “subplots” regarding sponsorships. For instance, when Jonathan Duhamel -- a “PokerStars guy” -- won the WSOP Main Event, it was viewed by some as a victory by Stars and a loss for Full Tilt. The fact that a lot of us play on these sites, and likely have our own preferences or even “allegiances,” perhaps adds (in a kind of arbitrary way) another layer of significance when it comes to the business of interpreting the final table story. The patches are also great for gossip, too, it seems. In fact, we have recently witnessed how even the absence of a patch can, in some cases, be enough to get the rumor mill crankin’ in high gear. I’m referring, of course, to all the talk about Phil Hellmuth having recently made a few appearances without his usual set of UltimateBet -- now “UB” -- logos. Surely it is testament to the marketing power the “Poker Brat” wields when people take notice what patches he is not wearing. Not to mention speculate so extensively about whose patches he might wear in the future. You’d think this guy were Ralph Lauren or something, the way folks are getting so caught up in the business of following his fashion. As you probably have heard, when Hellmuth showed up to contribute commentary over on ESPN3’s live stream from the WSOP Main Event final table a couple of weeks ago, he was not sporting any UB logos. Was a bit conspicuous, especially since Hellmuth never ever misses an opportunity to play the salesman. I think it is obvious that the still-unresolved insider cheating scandal at UB adds further intrigue here. The fact is, ever since the scandal at UltimateBet first broke in the spring of 2008, wearing a UB patch has taken on special meaning. Regardless of the wearer -- and indeed, despite the good intentions and/or best efforts of some of those who have donned it -- the UB patch has become a unique symbol. It yields various interpretations, but for many it evokes certain, specific themes, including greed, fraud, self-interest, and other negative and/or detrimental associations for poker. What will Hellmuth do? 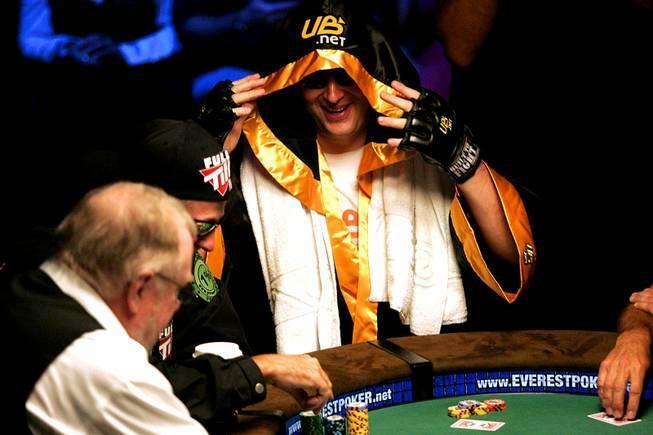 Hellmuth has worn the UB symbol longer than anyone, I think. According to the UB site, “Hellmuth was instrumental in creating the UB poker software in 1999,” and most believe he has always had some sort of significant financial stake in the site. One has to believe it would take a lot for him to move on at this late date, especially after so many better spots to act seem to have passed. Then again, for all his bluster, we all know what a nit Hellmuth can be. He will let himself get blinded down sometimes. Love him or hate him, Hellmuth is himself a symbol, the meaning of which in a lot of ways coincides with the UB one. Which for me tends to suggest that it doesn’t really matter much if he wears the UB patch again. In truth, Hellmuth is -- and always will be -- UB. And you can decide for yourself what that means. Mentioned a few days ago how I’d found myself back over on eBay, a site I once used several years back but hadn’t had occasion to visit very much of late. I remember enjoying the auction thing for a while there, although now that I think about it I also remember Vera Valmore always rolled her eyes whenever I told her I’d “won” something. Yeah, right, she kidded me. You won. Congrats. How much did it cost you? Speaking of auctions, I was listening to PokerRoad radio about a week ago when I heard the U.K. poker pro John Tabatabai being interviewed about a new site he’d developed called Bidibot, a “penny auction” site with an emphasis on poker and other types of online gambling. I’d actually heard about the site from someone else and was asked if I’d perhaps take a look at it, which I finally did this week. I think one of the things that previously appealed to me about eBay -- and, perhaps, that I eventually grew tired of -- was the way the auctions did require at least a modicum of “strategy” when it came to bidding, both in terms of the amount of one’s bid and the timing. Kind of like online poker in some ways, I guess (which was something I don’t think I’d even tried when I first messed around on eBay). Bidibot also perhaps has a similar appeal -- that is to say, if you’re into the auction format and enjoy the “game”-like nature of auctions, the site may well appeal to you. It looks as though Bidibot has linked up with a number of poker/gambling sites, functioning as an affiliate for all. Among those sites are a few non-U.S. facing ones (Betfair, 888, etc. ), as well as some at which we Yanks can still play (PokerStars, Victory, etc.). Up for sale are various items of value at these sites, primarily tourney tickets and cash credits, all being auctioned to the highest bidder. Most of these items range between $11 and $50, although there are a few higher-dollar items scattered in there as well. As Tabatabai explained on PRR, one way to think of the “penny auction” is to consider it as sort of like a “raffle with skill.” Indeed, as with the traditional auctions, there really is a kind of “game” involved the understanding of which can help one well in these things, I think. In fact, among the info one finds on the site, there’s a “strategy” page outlining a few tips for bidding. Tabatabai also mentioned on the show how there is kind of a negative stigma associated with some of these penny auction sites, mainly because in a lot of cases they function in such a way so as to create only a few winners and a lot of losers. And, understandably, most of those in the latter group usually give up on the sites after just one or two unsuccessful attempts, not necessarily recommending it to others thereafter. Another potential negative here is the way the penny auction actually charges per bid, meaning it is quite possible one can spend money and actually come away with nothing at all. Unlike, say, an eBay auction, where only the “winner” (as I liked to call myself) spends any cash, in these penny auctions one pays for each bid placed. For example, on Bidibot all auctions begin with a starting price of $1.00, with each bid raising the purchase price by either $0.01, $0.05, or $0.10 (as determined by the bidder). The standard cost for a bid, however, is $1.00, meaning one is paying a buck -- which you don’t get back -- just to place the bid. 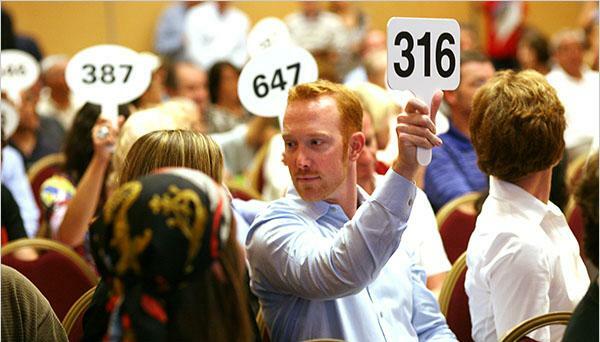 There are packages for buying bids in bulk so as to lower the cost per bid (e.g., for $100 one can get 115 bids). And there are other offers, including getting 10 free bids for signing up, 100% more free bids with one’s first purchase, and so forth. Once the auctions begin, each bid both increases the final purchase price and adds 30 seconds to the clock (which is where some of that gamesmanship might well come in). At the moment it does appear that there’s a chance for folks to get a lot for very little at the site, especially as the traffic there has yet to build. In a lot of cases, the auctions look like they are not currently attracting very many bidders, with many of them only being contested by two or three at most. You could say the scene over there right now is kind of like a tourney with a lot of empty seats with stacks, where the blinds are there for the taking. I’m noticing some of the auctions ending without bids or with only one or two, meaning items such as $20 credits to poker accounts at various sites or $22 buy-ins to tournaments are either going unsold or are being bought for $1.01 or something. If anyone does end up trying the site out -- and perhaps comes away a “winner” -- let me know how it goes. I won’t tell Vera. Was reading the sports page this morning and came across a bit of news that got me thinking once again about the whole “skill-vs.-luck” debate in poker, though in a different way, perhaps, than I have thought about it in the past. Now that the baseball season is over and done, all of those annual awards are being voted upon and handed out (MVPs, Rookies of the Year, Gold Gloves, etc.). Found it kind of interesting to see that over in the American League, Seattle pitcher Felix Hernandez was awarded the Cy Young Award recognizing him as the league’s best pitcher. What made the news interesting was the fact that Hernandez had a very modest-looking 13-12 record this year. In fact, his total of 13 wins was the fewest ever by a Cy Young award winner (in a non-strike-shortened year). Yet he earned 21 of the 28 first-place votes for the award -- pretty much a landslide. Hernandez got the Cy Young not because of his win-loss record, but because he had a stellar earned run average (2.27), a whole bunch of strikeouts (232 in 249.2 innings), and limited his opponents to a low batting average (just .212). Why didn’t he win more games? Well, his teammates didn’t do very much on the offensive side when he pitched, averaging just 3.06 runs a game for him when he started. According to the New York Times article from which I’ve gotten all of these other statistics, Hernandez had 12 starts in which he gave up two runs or less yet did not win. The author of the article, Tyler Kepner, concludes that when it came to casting their ballots for the AL Cy Young, those charged with that task apparently took into account the fact that Hernandez didn’t get a lot of run support this year. “The voters did not penalize Hernandez for that bit of bad luck,” writes Kepner, and thus three-fourths of them decided to list him their top choice for the honor. It does seem a little odd to have a Cy Young award winner with a barely .500 win-loss record and only 13 wins. But I understand the reasoning and am not really invested enough in the issue to object to the voters’ decision. Even so, that line about not holding Hernandez’ “bad luck” against him got me thinking. Baseball -- like poker -- is a game in which luck obviously does play a role, not just in terms of individual statistics (like with Hernandez and his win-loss record), but with regard to teams’ success, too. A ball hits a pebble and bounces over the shortstop’s head, a “lucky” break that allows the winning run to score. Or an umpire blows a call (which happens... a lot), which proves fortunate for one team, and bad “luck” for the other. And so forth. Thinking back to this year’s Poker Hall of Fame vote in which I had the privilege to participate, it goes without saying that Dan Harrington, Erik Seidel, and all of the other members of the PHOF most certainly experienced some good luck along the way. They had to, right? Don’t get me wrong -- most of those in the Poker Hall of Fame are unquestioningly skillful poker players. (I’m leaving out Edmund Hoyle, who never played poker, and perhaps a couple of others.) But those skillful players also necessarily had to withstand the game’s element of chance, enjoying good luck and avoiding bad luck frequently enough to be winners and become recognized as belonging among poker’s greats. Thinking again about Hernandez winning the award, how absurd would it seem to single out a particularly unlucky poker player as deserving of recognition (e.g., entry into the Poker Hall of Fame), backing one’s argument with the assertion that he or she should not be “penalized” for “a bit of bad luck”? Luck matters, right? Winning certainly matters. And winning -- in baseball, poker, and just about every other game -- requires luck. Didn’t all of those other Cy Young award winners, just like most all of those Poker Hall of Famers, enjoy some good luck? 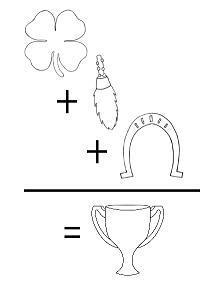 If we don’t want to penalize a player for experiencing bad luck, is it right to reward another for experiencing good luck? Play well this weekend, all. And good luck! 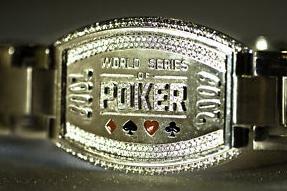 On Eastgate and the Bracelet; or, Must WSOP Main Event Champs Do Our Bidding? I haven’t used Ebay in quite some time. I have an account on there, and some years ago had fun buying a number of old vinyl copies of records I’d been seeking. Sold a few things on there as well, if I recall. But somewhere along the way Amazon and other outlets started offering used items on the cheap, and I found it easier just to pick up items there. Ebay has somehow survived without my patronage, however, as I saw when I returned to the site this week. I went back because I was curious to see what was happening with Peter Eastgate’s 2008 World Series of Poker Main Event bracelet, which you might have heard the young Dane has decided to sell and give the proceeds to UNICEF. Here’s the auction, if you’re curious. The bidding started at $16,000, I believe, and it looks like with a little under a week to go the current top bid is $45,100. Not a lot of details there on the auction page about the bracelet itself, other than a note explaining that it has a total weight of 168 grams of 18k white gold with 291 small “brilliant” cut diamonds set onto it. I read somewhere that the net value of the sucker is somewhere around that $16,000 mark where the bidding began, though I’m not positive about that. I think it is probably safe to say, though, that the current bid is probably well above whatever the materials are worth. Hard not to wonder a little about Eastgate’s decision to let go of the bracelet, the symbolic or “sentimental” value of which most certainly exceeds whatever value any appraiser might assign to it. Of course, we did hear a few months ago that Eastgate, now aged 24, had declared he was stepping away from poker, perhaps for a short while, or maybe even for good. Thus does the news of his selling of the bracelet perhaps come as a little bit less of a surprise. Coupled with that announcement, the selling of the bracelet appears to take on an additional significance, perhaps symbolizing for Eastgate a sincere commitment to his decision to move away from poker. Some have expressed dismay over Eastgate’s decisions both to leave poker and to sell the much-coveted bracelet, now regarding him as one who has clearly failed to live up to those expectations many seem to have for WSOP Main Event champs to serve subsequently as “ambassadors” for the game. While I can’t say I share that view, I think I do understand from where it comes. Like I say, I don’t really feel much differently about the issue today. However, I do recognize things have changed for poker since the summer of 2006. A lot. The Unlawful Internet Gambling Enforcement Act of 2006, signed into law just a few short weeks after Gold’s WSOP win, is by most observers’ estimation a piece of legislation that has utterly failed in many, many regards. However, the UIGEA did succeed in accomplishing one thing, namely, to put online poker in particular -- and perhaps poker in general -- on the defensive. Ever since the game’s introduction in the early 19th century, poker has been viewed by some (or many) as an illicit pursuit, and thus has always needed to be defended by those who think otherwise about the game and believe it is worthwhile to counter objections to it. But since the UIGEA became law (fully implemented -- finally -- in July of this year), that need to present to a mainstream audience that poker is indeed a legitimate pastime and/or pursuit has taken on additional urgency. Such wasn’t the case in August 2006. With bigger fields than ever coming to that year’s WSOP -- and no apparent reason at the time to suspect poker’s astounding pattern of growth would ever be stopped -- it didn’t seem like we needed the champ to go out and “fight the good fight” on poker’s behalf. Poker would do just fine with or without such help. It is true, I guess. Winning the WSOP Main Event these days is like being elected to a political position. No one voted for you, but suddenly you’re their representative. Like it or not. And whatever it is you end up doing will necessarily be interpreted as either successfully doing our bidding -- i.e., representing poker in a politically-favorable way -- or something else. Only playing intermittently these days, still mostly hanging out at the short-handed, low-stakes pot-limit Omaha tables. I’ll sometimes play PLO25, though more often than not I’m sitting at the tables where the maximum buy-in is $12.50. That is where I was yesterday. And where I had kind of an interesting start to the session, hitting a royal flush on just the second hand. The hand began with everyone folding around to the short-stacked player on the button who limped. I was sitting in the small blind with . Nice starter, that. 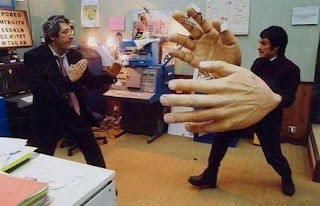 A hand I would likely raise with if opening late. But here I was out of position and had no feel as yet for how my opponents played, so I just completed for the quarter. Often I’ll start sessions conservatively -- for better or worse -- although in truth I very rarely play hands from the small blind, even if I’m in a more aggressive mode. The big blind checked and the flop came . Top pair, open-ender, second-nut flush draw. I liked it. I made note of what the button had left -- only about $4 -- and figuring he’d hit something decided I’d try to play for his stack when he made his continuation bet. The BB checked as well, and the button cooperated by betting 50 cents. I reraised the pot, the BB folded, and my remaining opponent just called, leaving himself a paltry $1.31. The turn brought the . Easy game. Now holding the ultimate hand, I checked, hopeful my opponent wouldn’t decide to preserve his remaining pennies. After a few seconds he put his chips in, I called, and that was that. (He had K-Q-J-2 for two pair.) A small pot -- just $8.40 total -- though usually it’s hard to get paid anything at all with such a big hand, so I’ll take it. Often after a player makes an especially big hand -- like four of a kind or a straight flush or a royal -- an obligatory “nh” appears in the chat box afterwards. Frequently this comment will be delivered by a player not involved in the hand. It’s an interesting phenomenon, really, insofar as the “nice hand” compliment is almost never about the way the hand was played, but simply an acknowledgment of a fellow player having managed to draw a rarely-seen, high-ranking hand -- like hitting one’s number on the roulette wheel, or something. You could almost call it a tribute of sorts to the “poker gods” some like to evoke. Or chance itself. A recognition that indeed, sometimes, hands like royal flushes do happen. And perhaps we better give thanks or at least bring some sort of notice to the event. Nice hand, random number generator! All those high-ranking spades in a row like that sure are pretty! This time, however, no one offered such post-hand gratitude. And to be honest I didn’t really think much of it, either. The game was small. The pot was small. Hardly reason to rejoice. In fact, the more I think about it, such a huge hand seemed almost inappropriate there at the dime-and-quarter tables. Was like I’d arrived at a football-watching party wearing a tuxedo. Downright embarrassing, really, showing up like that. Next time it happens, I think I’ll fold. 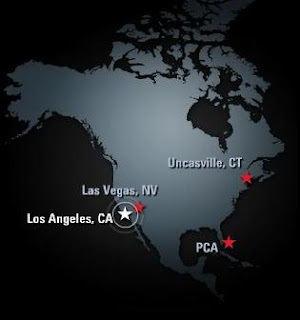 The North American Poker Tour is back! And despite it being six months since the NAPT’s last stop the tour has nonetheless successfully grabbed most of the poker world’s attention once again. You might recall how the NAPT first designated the PokerStars Caribbean Adventure (from back in January) as its initial stop, then landed at the Venetian in Las Vegas in February. I had the chance to help cover both the High Roller event and the Main Event at that stop for the PokerStars blog, while also writing some here about that trip, too. Here are those NAPT Venetian posts again: Arrival, Day 1, Day 2, Day 3, Day 4, Day 5, and Postscript. It sounded early on as though a number of other stops for this Season 1 of the NAPT were possibly in the works, though only one panned out, the NAPT Mohegan Sun in Uncasville, Connecticut. Finally the tour resumed this past week at the Bicycle Casino in L.A., where the Main Event ended up attracting a large field of 701 players for the $4,750+$250 buy-in no-limit hold’em tournament. After three days of play, they are now down to 19 players, with Christopher DeMaci leading the way. Jason Mercier, Michael Binger, Anh Van Nyugen, George Lind III, and Matt Affleck are all still with chips as well. Most are regarding the turnout for NAPT L.A. as impressive, especially since there was no television coverage planned for the event (unlike at the Venetian or Mohegan Sun). However, just as they were getting underway a $5,000+$250 buy-in NLHE bounty-shootout event was added to the schedule, an event which will take place at the nearby Crystal Casino and Hotel, and apparently that event will be shot and subsequently televised. The move away from the Bike is significant here, since the World Poker Tour -- which stops at the Bicycle Casino each year as well -- has a deal which disallows the Bike from letting other tours come in and stage televised events. In fact, there was some additional chatter on Twitter yesterday suggesting that the Main Event final table might be moved to the Crystal Casino as well in order to make it possible to shoot and televise it, too. Not sure if that is really happening or not, but Andrew Feldman of ESPN Poker has tweeted that ESPN2 will be broadcasting three hours’ worth of coverage of the bounty-shootout event, plus one more hour of the Main Event final table. If indeed that is the case, one assumes the Main Event turnout would have been even higher had news of the final table being televised been known prior to the start of the event. I suppose one could look at this little territorial skirmish as another round in the intermittent “WPT vs. NAPT” battle, something I wrote about before here back in the spring when the NAPT Venetian event had taken place just a few days before the WPT L.A. Poker Classic, and thus may have caused some players to have to make a choice between the two. Will be interesting to see how the NAPT L.A. event plays out -- both in terms of the result and where they end up staging the sucker. Thus will I be checking in frequently over at the PokerStars blog as well as on PokerNews to find out what happens. Might also have to dial up the latest episode of The Poker Beat (recorded last night) to see if those folks have any further info to share on this one. Over the last few weeks I have spent a few late nights helping cover some of the big online tournaments. In my recaps I generally try to include some information about the story leading up to the final table, but my primary duty is usually to report how the final table goes. That includes chronicling all of the final table bustouts, as well as giving some indication of the general ebb and flow at tourney’s end (changes to chip stacks, lead changes, etc.). As you might imagine, some of these final tables are more interesting than others, both in terms of the play and the “personalities” involved, the latter primarily indicated by contributions to the chat box. What I most often encounter -- the “default” final table, you could say -- is a tournament ending with relatively short-stacked players taking turns open-shoving all in before the flop, getting called, then getting busted, with zero chit-chat other than perhaps a conversation to discuss a deal once the sucker gets down to two- or three-handed. Sometimes, though, I’ll see a genuinely interesting hand play out and/or some dialogue that makes everything a bit more attention-grabbing, perhaps even helping to make the tourney write-up a little more fun to compose. Last week came one such instance. It was the “Super Tuesday” on PokerStars, a $1,050 buy-in event that attracted 349 players. Dan “Lenny” Heimiller actually ended up winning the thing, with Greg “DuckU” Hobson -- who had won the same tournament just a week before -- coming in third. Here’s the full recap, if you’re at all curious. And here’s Heimiller’s excellent website, if you’ve never seen it before (and are looking for a few grins). Was actually a fairly riveting final table from start to finish, with some creative play and a lot of chatter from several players. One in particular, after losing a coin flip to DuckU, got very hot in the chatbox, directing a few insults toward his opponent. Hobson was quite cool about it all, though. “Cmon man,” he typed, “it’s frustrating to lose a huge key flip, but no reason to talk trash...... step up the class.” To which his opponent typed “ok,” and let it go. Another interesting moment arose when they were seven-handed. Actually, it was a fairly routine situation as far as these MTTs go. I found it intriguing, though, perhaps mostly because of the chat that came afterwards. The blinds were 3,200/6,400, with an ante of 800, meaning with seven left there was 15,200 in the middle at the start of each hand. The table folded around to the players in the blinds who, as it happened, were sixth and seventh in chips, respectively. The SB, down to 92,572 (a little less than 15 big blinds), open-shoved all in. That left the BB, who had but 58,439 left (just over 9 big blinds), with a decision. He took a few seconds, then made the call. Not at all an unusual turn of events. “Standard,” as they say. The SB showed while the BB turned over . I remember thinking the small blind’s hand was perhaps a little better than I’d necessarily expected to see, while the big blind’s hand might’ve been a tad worse. But really they each could’ve turned up just about anything there, given the stack sizes and situation. As it happened, the flop brought a queen, and the shorter-stacked of the two ended up doubling up. The other, crippled to about four big blinds after that one, would soon go out in seventh place. Before he did, though, he took to the chat box. “icm noooooooooooooooooo,” he typed, referring to those “independent chip model” calculations some players make when facing decisions such as the “push-or-fold” ones he and his opponent in the blinds had just made. The suggestion, it seemed, was that he didn’t think his opponent’s call with Q-4-offsuit was justified mathematically -- a complaint one imagines he probably would be less likely to make had he won the hand. 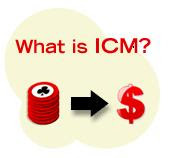 I don’t pretend to understand ICM, though I do get how it involves accounting for a number of variables (some known, some assumed) to help one make a calculation that helps dictate what sort of action to take -- e.g., whether to call the SB’s shove or fold and wait for a better spot. Looking beyond the actual situation, what I found most interesting here was the losing player explicitly citing ICM as a kind of supporting witness testifying on his behalf. It was a bad call, he appeared to be insisting, because ICM says so! Also interesting was the winning player’s response. Incidentally, having watched the last few tables play down, my impression had been this player was a solid, smart player. Such is usually the case for almost everyone who makes it deep in these big MTTs, although sometimes it will happen that a less tutored player will win some big hands and sneak through to fill one of the final seats. “and know what....MATH IS STUPID,” he typed, giving his opponent one last thing to think about as he hit the rail in seventh. Like I say, I’m not going to begin to judge either player’s play or pretend to talk as though I know what ICM truly dictates in this situation. (If anyone wants to spell it out in layman’s terms in the comments, please do.) But I did find it a fascinating little exchange, highlighting how tourneys can instantly create situations fraught with highly complicated dynamics made all the more so by players’ differing strategic approaches. Then again, I also find Dan Heimiller’s website fascinating, too. And awesome. Sea monkeys! X-Ray glasses! Strategies for fighting the man! Picking up again today on the topic of the cheating that occurred during the Grand Final of the Partouche Poker Tour. Yesterday I shared details of the story, primarily provided by Benjo (in his article for Winamax), of how a player had committed “fraudulent actions” in order to gain an advantage in that tournament. Those actions involved having a couple of accomplices who posed as tournament reporters. These individuals stole glances at the player’s opponents’ hole cards as they stood near the tables, then somehow conveyed information to the player about the hands (by way of signals, I imagine). A review of video recordings confirmed for officials that cheating had occurred, and thus the decision was made to disqualify the player just prior to the start of the tournament’s final table. While any form of cheating or attempted cheating in a poker tournament certainly would be of interest to media covering the event, this particular story and variety of cheating especially grabs the attention of those of us who report on live events, given the way it employed a couple of “faux” bloggers/reporters in the execution of the scheme. It didn’t work here, but many suspect the player had successfully used the method to cheat in previous tournaments. And since the method depended in part on both the way media credentials are conferred as well as the access reporters are given when covering tournaments, some tourney reporters wonder if perhaps there will be repercussions going forward affecting how they currently do their jobs. Today I wanted to address the way credentials are handed out as well as the amount of access reporters generally are given when reporting on events. I also wanted to add a word or two about the “ethics” of tournament reporting as I understand them and as I think most conscientious reporters do, too. Most of my live tournament reporting has been at the World Series of Poker, although I have had the chance to report from EPT and NAPT events as well. In each case, I had to apply for and receive a credential in order to report on the event. Being identified with a particular publication or site is generally mandatory for one to receive a credential. I believe the WSOP will sometimes grant freelancers a one-day pass or provide other, special accommodations, but I’m not sure of the details there. While working alongside colleagues representing other sites, I haven’t personally experienced much that would suggest to me that the vetting process for handing out credentials is not adequate. That is to say, it has seemed to me that those running these events have practiced due diligence for the most part when it comes to giving out credentials. However, this story did make me recall one incident from a couple of years ago in which I was covering an event at the WSOP and noticed a couple of reporters representing a site I’d never heard of before. The tournament had gotten down to the final three tables, and as I recall it was just myself and a colleague from PokerNews, a few folks from other known sites like CardPlayer, PokerListings, and others, then these two fellows. Eventually we figured out they were there covering just one player -- in fact, if I’m not mistaken, the website they represented was named after the player. They didn’t seem to be taking many notes or leaving to write on laptops, though, and so it mostly appeared they were just there to support their friend. It seemed awkward to me, though I had no reason to suspect these two were helping the player in any fashion whatsoever beyond simply being there to cheer him on. Of course, that in and of itself is inappropriate -- that is, for a player to have a couple of “fans” (essentially) right at the table with him while he played -- and I think the WSOP eventually took note. I recall this year hearing frequent announcements to media that they were not permitted to “sweat” players during events. The fact is, there are many, many examples of folks in the poker media who are friends with players. Realizing that it could very well make some players uncomfortable to have reporters in close proximity to the tables who were outwardly supporting one of their opponents, the WSOP took steps to prevent such from happening. As I say, I think the vetting process is generally fine at the WSOP (where I’ve had the most experience), and while I know this is handled differently from tour to tour, tournament directors obviously need to remain wary of whom they allow access to their events. One imagines the disqualification at Partouche will highlight that necessity going forward. Speaking of access, it has been my experience that up until the final table -- which is often either removed to a special stage or set aside in some fashion so as to create different conditions for reporters -- those of us charged with writing about events are generally allowed to walk freely between tables and stand wherever we wish nearby so as to record the action. That said, there are a number of “unwritten” rules most conscientious reporters follow when reporting. Things we can and can’t do, you might say. We maintain a reasonable distance from the table when watching, remaining as inconspicuous as possible. We move around a lot, not standing behind a single player or at a particular table for too long. We generally do not speak to players, dealers, or anyone else out on the floor, other than perhaps to ask about a previous hand (during a break in the action). We don’t “root” for players, even if we have friends or favorites among them. And we never get involved when a dispute occurs, even if we might know the answer to a question that has arisen. It’s crucially important, really, for reporters to do everything possible to avoid having any influence whatsoever on the action. I remember once during a WSOP Main Event noticing (along with a couple of other reporters) that at one particular table they were playing with incorrect blinds. If I recall, they had accidentally moved up a level at the one-hour mark rather than playing the level for two hours as scheduled. But we kept it to ourselves; it was an error those running and participating in the event had to figure out, and those of us reporting could not help them do so. There’s one other “unwritten” rule that I follow, and I think most other reporters do as well. Don’t look at a player’s hole cards. Just don’t. Most players are good at protecting their cards, but there are some -- a lot, in fact -- who are not. If you’ve ever played live poker, you’ve probably sat next to someone who can’t seem to keep his or her cards hidden properly. 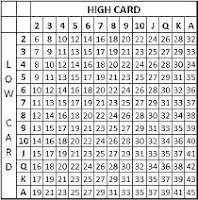 Inexperienced players in particular (whom one encounters quite often at the WSOP) will tend to have trouble keeping their cards covered. Even so, as a reporter following the action, it is usually a relatively simple matter not to look. Like everything involved with tourney reporting, it takes a bit of training. But after a while it becomes instinctive, and you just don’t look. Think about it. You see someone’s holding. Then comes the action, and when the player whose cards you’ve seen check-raises big, you know he’s bluffing. Now you, too, better put on your best poker face, not allowing anyone to see by the look in your eyes that someone is trying to pull something here. As another of my reporter-colleagues noted on Twitter last week, he does “everything humanly possible to avoid” looking at anybody’s cards, because “nothing good comes out of it.” He speaks for me there, and probably for just about every other tourney reporter who has had even a little bit of experience on the floor. I’m hopeful that since it is presently the case that the great majority of tourney reporters do have ethical standards which include being very careful to avoid influencing action, the cheating that occurred at Partouche does not inspire TDs to reduce reporters’ access going forward. And if the incident perhaps causes those managing events to become more careful about giving out credentials in the future, well, I think that would be a positive development that would in fact decrease any need at present to restrict reporters’ access. 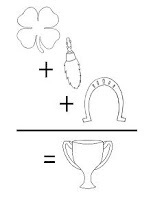 Have to add, though, as intriguing as this PPT story is, I hate that it happened. As Benjo noted, the video doesn’t necessarily prove anything, but knowing what we know about the player and what was judged to have happened in Cannes, it indeed looks “un peu étrange.” More than un peu, actually. I hate the fact that this incident could cause players to become suspicious of reporters, though would completely understand if it did. But I do believe good will come from it, primarily in the form of greater diligence by all to help ensure the integrity of these events we love to play, cover, and follow. 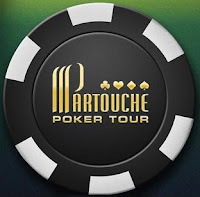 You might have heard something about some cheating having occurred during the recently-completed Grand Final of the Partouche Poker Tour in Cannes, and a player who made the final table being disqualified before the tourney’s conclusion as a result. Then again, maybe you didn’t -- the story first broke last Friday (November 5th), and so was understandably eclipsed somewhat over the last few days by the conclusion of the World Series of Poker Main Event. Needless to say, the story definitely got the attention of those of us who have been involved with reporting on live tournaments. Any form of cheating in professional tournament poker cannot be tolerated, obviously. But here we have an incident which apparently involved a player being aided by faux “reporters” (i.e., accomplices) in order to gain an unfair edge on his opponents. In other words, what happened at PPT not only should affect how poker tourneys are managed going forward, but has the potential to affect the reporting on those tourneys, too. And -- for those among us who also enjoy a good detective story -- well, this here is the cat’s pajamas. I wanted to say something about what happened -- in particular to comment on how it has drawn attention to poker reporters’ methods and standards -- though I realized some may not know all of the particulars of the story. Today’s post, then, will provide a summary of that, and tomorrow I’ll come back with a few observations about poker tourney reporting. To be more specific, what I’d primarily like to do today is share with you what my colleague Benjo wrote last weekend about the cheating that occurred at Partouche. Benjo frequently reports on the European circuit and was there covering the PPT final table last weekend. Thus he has a lot of first-hand knowledge of the details surrounding the disqualification of Ali Tekintamgac, a German player whom I believe has been on the European scene for about a year. 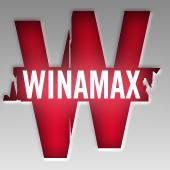 Benjo wrote a long account of the “Affaire Tekintamgac” for Winamax last Saturday in which he reviewed all of the “facts, rumors, and opinions” with which he was familiar. It’s the most comprehensive overview of the incident I’ve seen, made all the more valuable because of Benjo’s own high journalistic standards. The PPT Grand Final was a €8,500 buy-in event that began in September and -- very much like the WSOP Main Event -- played down to a final nine before pausing until November to finish. A total of 764 entered, and Vanessa Selbst continued her fantastic 2010 by winning the event when it was finally concluded last weekend. On the eve of the final table getting started, it was announced on Friday that Ali Tekintamgac, one of the final nine, had been disqualified for having made it that far through “fraudulent actions.” Eventually it was disclosed that tourney officials had reviewed video recordings of the earlier action and determined that a couple of reporters could be seen viewing Tekintamgac’s opponents’ hole cards, then signaling to Tekintamgac. On his disqualification, ninth-place prize money was then distributed proportionately and added to the top eight spots. Also, I believe that fraud charges are now being pursued against the German player. Benjo begins his article by referring to an incident at the EPT Talinn event in Estonia in which two German reporters were ejected for apparently having been caught peeking at players’ cards, then aiding one or two other players in some fashion by relaying what they’d seen. That was what folks were saying, anyway, although there wasn’t any official announced reason for the reporters’ ejection. Benjo actually played at EPT Talinn, which took place back in August. He says he’d noticed the two bloggers before they had been ejected. Neither of them were known by other media, and to Benjo they did seem a bit conspicuous, often standing together at a single table. Benjo also says that among the many rumors that were swirling with regard to these two reporters, the name of Tekintamgac kept popping up. Tekintamagac finished 36th in that event. 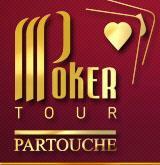 A couple of weeks later, Tekintamgac was playing in the Partouche Poker Tournament. The two bloggers who had been ejected from Talinn were not present at the Partouche event. (EDIT [added 12:15 p.m.]: Actually, one was present; see Benjo’s comment below.) Tourney officials at the PPT were made aware of what happened at EPT Talinn, however, and so were perhaps therefore more alert to the possibility of an attempt to cheat. As we know, Tekintamgac survived to make the delayed final table at PPT. A few weeks after that, in October, Benjo read reports of a tournament in Belgium where three more reporters were ejected, and Tekintamgac’s name was mentioned in that article, too. Thus ends what Benjo knew or had heard about prior to the disqualification of Tekintamagac from the PPT last Friday. In his conversations with other reporters, Benjo learns that allegations of Tekintamgac’s cheating date as far back as EPT San Remo (April), where apparently it was the player himself who was said to have taken the role of reporter, helping out another player. There were also suspicions of his cheating at the Cyprus Poker Classic (August), and reports that he’d been banned from a couple of German casinos for suspected cheating as well. Benjo makes reference to Shaun Deeb’s carefully worded post on Two Plus Two from late August in which Deeb noted an incident had occurred at a European event -- he didn’t say which -- and that the media who were involved were ejected for having helped a particular player. Deeb didn’t name names in his post because his primary purpose was to be constructive -- i.e., rather than sensationalize what had happened and get everyone up in arms about the people involved, he just wanted to make sure those who ran tourneys going forward would be more careful about giving out media credentials and watch for this sort of cheating. Deeb also was warning players to be more aware of their surroundings and to be more careful about protecting their hole cards. One the PPT story broke, Deeb came back into the thread and confirmed that yes, indeed, it was the Talinn incident in which the two reporters were ejected that he was referring to in his original post and that Tekintamgac was the player being helped. Benjo then refers us to a couple of highly curious items, one of which is a video showing the final hand of the €3,200 WPT Spanish Championship won by Tekintamgac. Benjo directs us to watch the behavior of the media member with the camera standing behind the eventual runner-up, Robert Garcia Santiago, who does appear to be looking at Santiago’s cards, then perhaps even signaling to Tekintamgac. Benjo is careful to point out that the video doesn’t necessarily constitute evidence of anything untoward. Even so, it is quite eyebrow-raising, given the surrounding context. The rest of Benjo’s article concerns the possible repercussions of Tekintamgac’s disqualification and the revelation that he used fake “reporters” to cheat, particularly with regard to the functioning of the poker media. As I said, that’s what I plan to take up tomorrow.